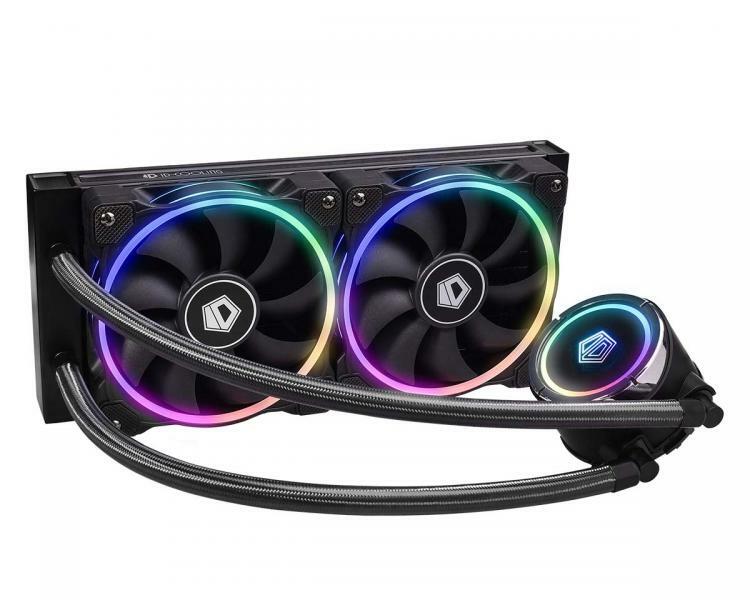 ID-Cooling presents the ZOOMFLOW 240 all-in-one liquid CPU cooler featuring a new pump design and addressable RGB lighting on both pump and cooling fans. 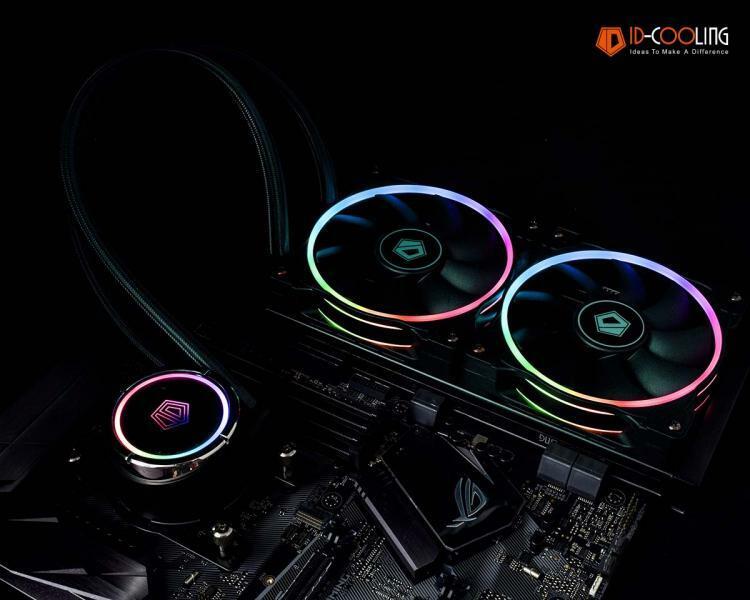 The ID-Cooling ZOOMFLOW 240’s RGB lighting supports synchronization with popular motherboard-based RGB lighting controllers including ASUS Aura Sync, MSI Mystic Light and others. The ZOOMFLOW 240 packs a new high-performance low-profile pump with a flow rate of up to 106L/H, lift range of 1.3m H2O. The water block uses a copper base with micro-fins to deliver the best cooling performance. The pump’s RGB lighting sports a mirror-effect diffuser to give it an edgy look. It also comes bundled with an RGB lighting remote control. The ID-Cooling ZOOMFLOW 240’s tubing features premium sleeving to make it more durable and aesthetically pleasing. The tubing length is 400mm, long enough to cover large cases like the CORSAIR Obsidian 1000D. The ZOOMFLOW 240 is a closed-loop cooler and uses an eco-friendly liquid coolant that’s maintenance-free. The ZOOMFLOW 240 is bundled with two ZF-12025-RGB fans which pack 14 addressable LEDs built inside the fan frame, emitted smoothly through the diffuser. It is a PWM fan that supports fan control with RPM ranging from 900 to 2000, delivering a maximum airflow of 55.2CFM. The fans also feature built-in rubber dampeners to absorb vibration and lower acoustics. The ID-Cooling ZOOMFLOW 240 comes bundled with an RGB splitter cable that supports up to four devices and a. 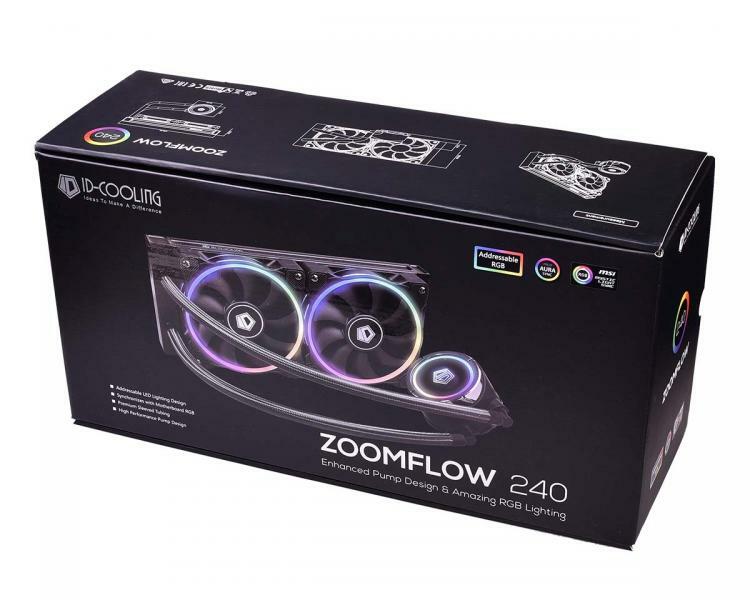 The ZOOMFLOW 240 is compatible with Intel 115X, 1366, 2011, and 2066 sockets along with AMD AM4, FM2, FM1, AM3 and even the larger TR4 socket for the Ryzen Threadripper processors. The ID-Cooling ZOOMFLOW 240 AIO Liquid CPU Cooler is expected to be available by September 2018 with an MSRP of $109.99USD.